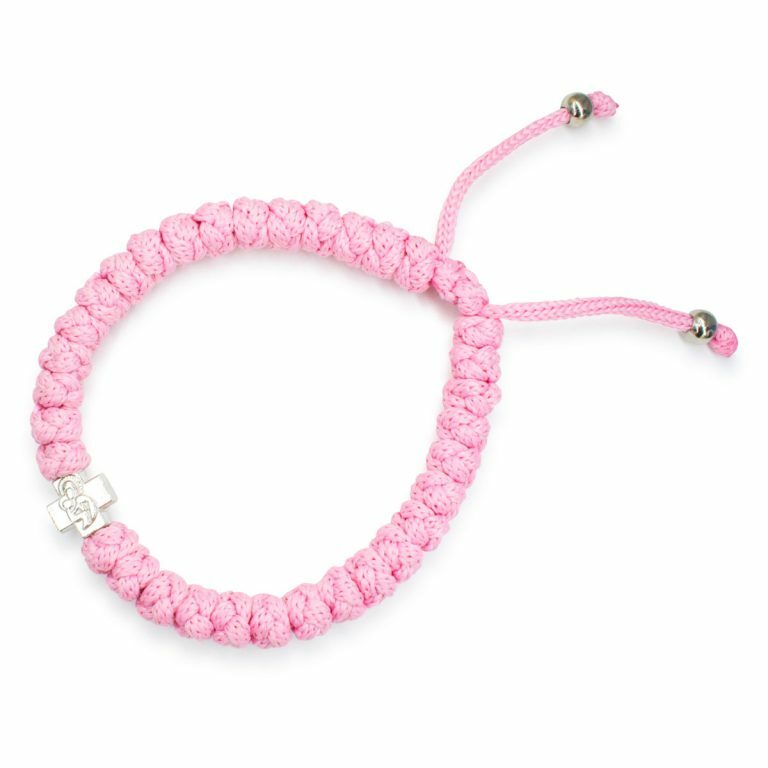 How about the color rose? 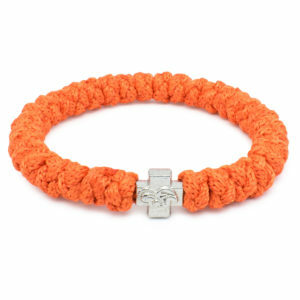 Isn’t it a happy color? 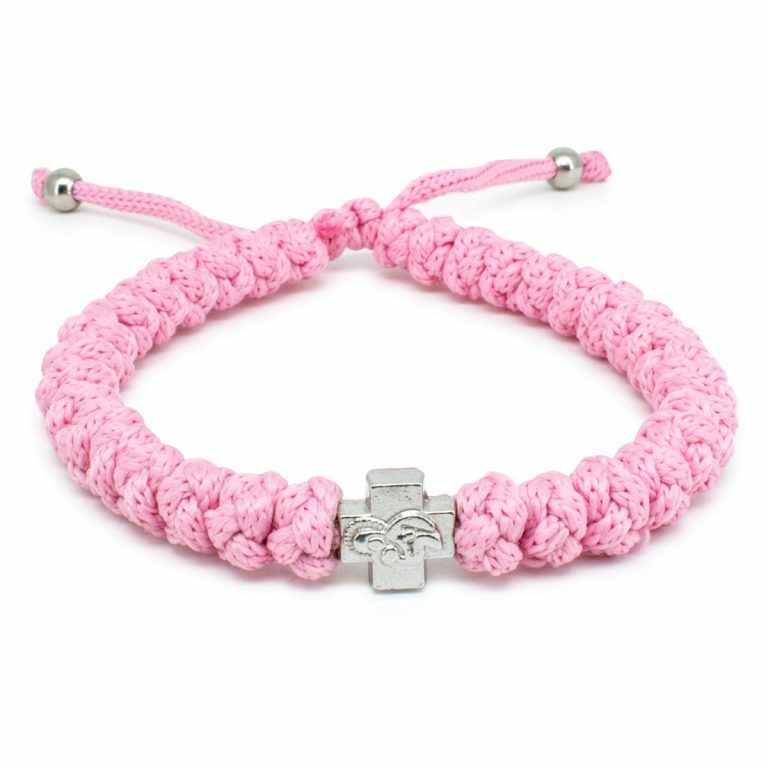 This adjustable rose prayer rope bracelet is handmade and authentic. 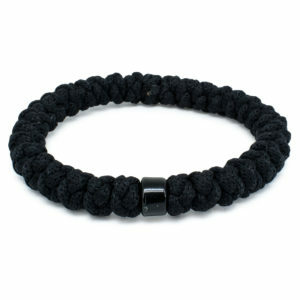 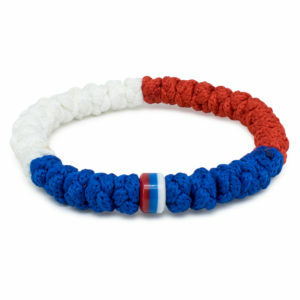 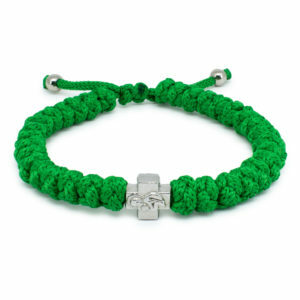 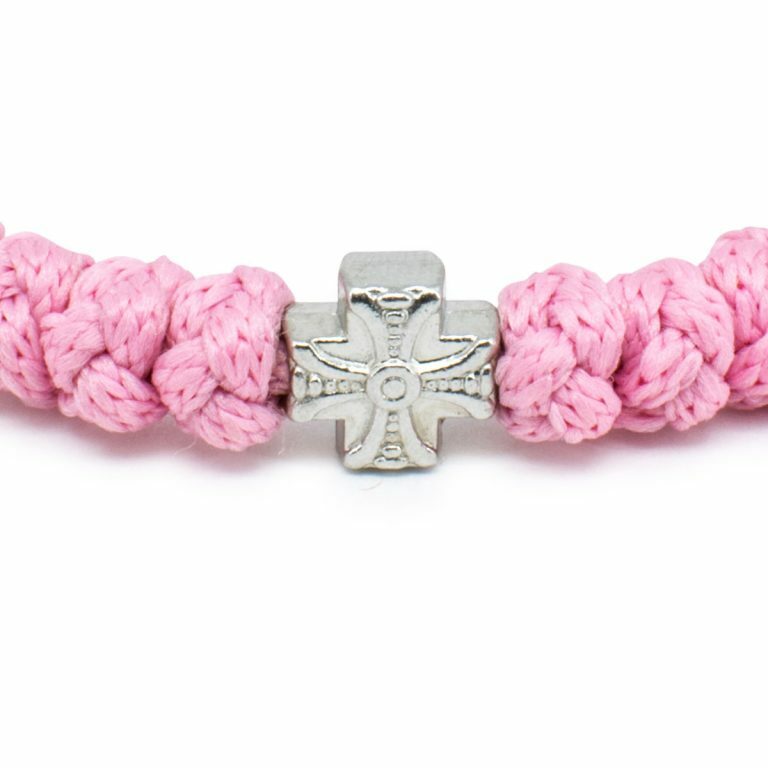 This bracelet is made out of non-allergenic rope and has 33 knots and one cross bead. The cross bead has 2 sides, with on one the Holy Theotokos (Virgin Mary) and on the other a art-deco cross.